Compare Prices & Save Money on Wilmington NC Bed And Breakfasts in Wilmington NC! Graystone Inn, originally “The Bridgers Mansion,” was built in 1905-1906 by Elizabeth Haywood Bridgers, widow of Preston L. Bridgers, local merchant and son of Robert Rufus Bridgers. 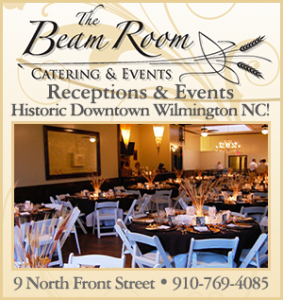 An historic landmark and one of the most elegant structures in Wilmington, the inn has recently undergone extensive renovations and has been returned to its original “turn of the century grandeur”. Blue Heaven is a lovely Queen Anne style home that was built in 1897 by Frederick and Minnie Hashagan, who lived in residence there until 1922. Seven fireplaces with their original mantlepieces, mouldings and stained glass windows are some of the original details that are still in place. This blend makes comfortable, well-appointed rooms for guests. The distinctive dual turrets of the CW Worth House represent one of Wilmington’s most charming bed and breakfasts. The CW Worth House is a Circa 1893 Queen Anne with wide verandas and turrets offering seven guestrooms. As you step through the gate, the spacious southern porch invites you to slow down, relax and enjoy. The Rosehill Inn Bed and Breakfast is an elegant home built in 1848 in the heart of the historic district in Wilmington, NC – just three blocks from North Carolina’s Cape Fear River and the city’s finest dining, shopping, and entertainment. The Rosehill Inn is open year-round, and is only a 20-minute drive from the crystal blue waters of the Atlantic Ocean and many area attractions. The Verandas is Wilmington’s only restored antebellum mansion inn. Towering above a quiet tree lined street; this romantic 8,500 square foot Victorian Italianate structure is the epitome of elegance, refinement and enchantment. Wonderful colors, original art, French and English antiques abound inside the house. Huge windows allow natural light to flood the grand, but comfortable interior. 8 luxurious corner guestrooms with extremely comfortable beds graced with hand-ironed linens, blanket covers and maitlesse bedspreads insure a great night’s sleep. Professionally decorated, each room has a private sitting area, desk, telephone, color TV, modem jacks, thermostats, original artwork and private bathroom. Bathrooms have garden size soaking tubs with shower, marble floors, marble vanity tops and custom wainscoting and vanities. The spacious first floor of the Inn is for the exclusive use if the Inn’s guests. Complimentary beverages and snacks.